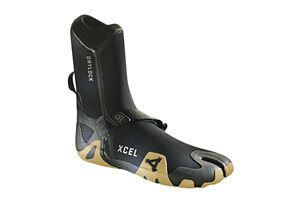 Xcel's most popular and most premium surf boot, featuring revolutionary TDC Thermo Dry Celliant, their warmest inner lining ever. TDC uses mineral-enhanced smart fibers that recycle body heat into infrared energy for greater warmth, increased endurance, faster recovery, and enhanced overall performance. The Drylock is loaded with more exclusive features including ergonomically angled Velcro straps and seamless Drylock ankle seals for an ultra-premium, comfortable fit. The thin yet durable sole design allows for a better, true-to-the-board feel, and the sole is solid underneath the split toe to prevent annoying leash hangups. The Drylock boot also features 100% UltraStretch neoprene and a glued & blindstitched seam construction sealed with inner Thermo Dry Seam tape and outer Taitex to keep warmth in. 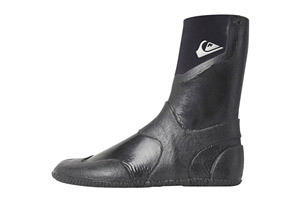 Even the back ankle pull loop is Pressure Bonded to the outer boot, which keeps even more water out since no stitching ever penetrates through the boot neoprene.  TDC Thermo Dry Celliant lining is fast drying, lightweight, and naturally hydrophobic. Converts your body heat into infrared energy for maximum warmth, increased endurance, faster recovery, and enhanced overall athletic performance.  Ultrastretch neoprene with softer foam and a tighter weave textile for less water absorption, better durability, and maximum stretch. 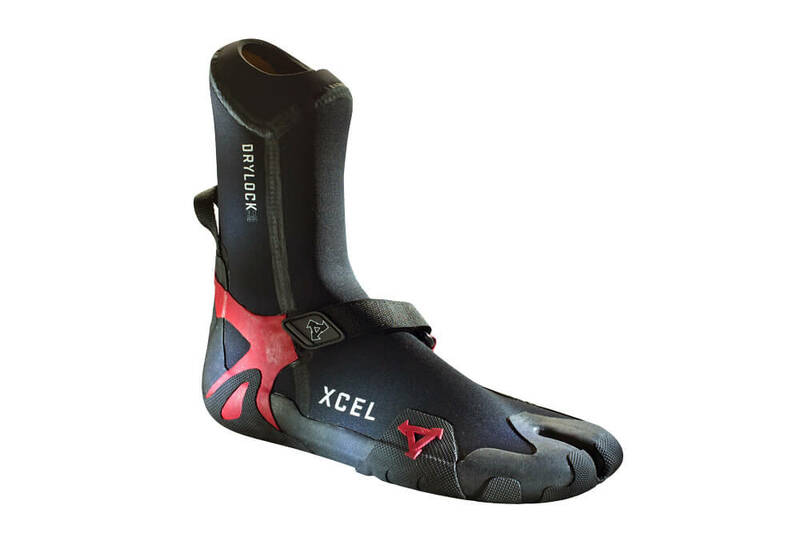  Drylock ankle seals keeps more water out, minimizes flushing, and forms a snug, comfortable seal and a better fit with your wetsuit.